Join the discussion on our forums! 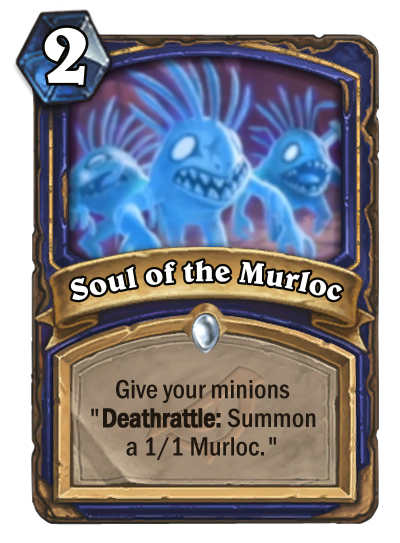 Come discuss Soul of the Murloc over in our dedicated Soul of the Murloc discussion topic. On the reveal stream, one of the casters said “and then we play Soul of the Forest” (meaning this card). I can see some crazy! Bloodlust shenanigans going on! Sticky murlocs is exactly what i needed to add consistency to my murloc shaman in wild.